Worried because your baby wakes up crying hysterically all of a sudden? 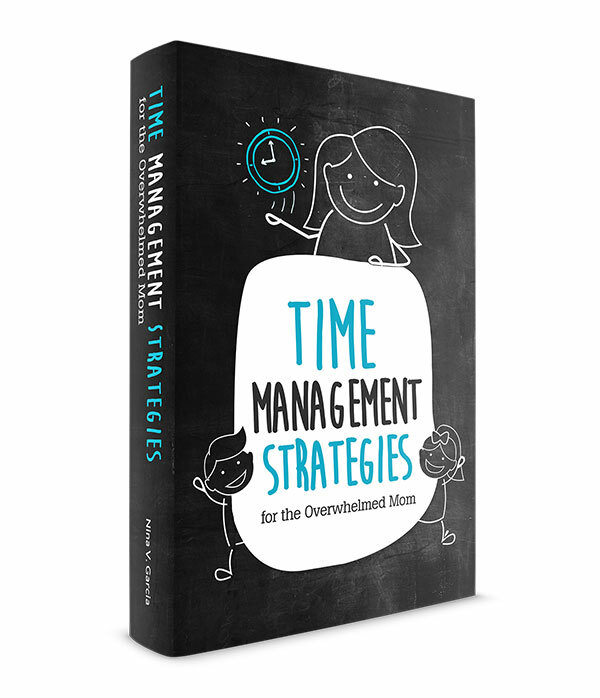 Take a look at common reasons why, and more important, what to do about it. Is this normal? you wonder. Your baby is several months old by this point, but just in the last few days, she’s been suddenly waking up crying. About once or twice a night, she flails her legs and screams her lungs out. Rocking and feeding seem to work a few times, but you’re afraid she’ll rely on these habits too much. It’s breaking your heart, this inability to console her when she needs it the most. I’ve wondered the same myself when my baby would wake up crying hysterically. I went through the list of possibilities—Is this just his personality? Is he not well-rested?—before worrying I was doing something wrong. It’s especially jarring when all had been humming along just fine to suddenly be waking up to these unexpected cries. I was desperate for any way to help him sleep well through the night without waking up and screaming uncontrollably. The tricky thing with babies is that we have no clear-cut path or one-size-fits-all method to solve these issues. Each baby is different, even if they’re born the same day to the same parents (trust me, I know!). Finding solutions then becomes an experiment, one where we test theories and see if a technique works. Other times, it’s simply a waiting game, where all we can do is our best until this stage passes. As always, the best place to start is with your baby’s pediatrician. She’ll be able to provide professional advice tailored to what she knows about your little one. Any time I had even the slightest reason to worry, I turned to our pediatrician for guidance. One of the healthiest milestones your baby will reach is separation anxiety. As challenging as it is for parents to deal with, separation anxiety shows that your baby is developing a sense of self apart from her environment. Previously, she had thought that everything was one and the same. The thing is, the idea that we’re separate now instills the notion that we can leave, which can feel frightening. And as anyone knows, waking up in the middle of the night can feel disorienting. Whereas your baby may have been able to put herself back to sleep just fine before, now she’s feeling anxiety about not having you there… all while the room is fairly dark, no less. What to do: Play games that promote object permanence, or the idea that just because you can’t see something or someone, doesn’t mean they’re not there. The most popular game? Peek-a-boo, of course. You can also install a night light in her room or pull the curtains back a bit, so that the room isn’t completely dark when she stirs at night. 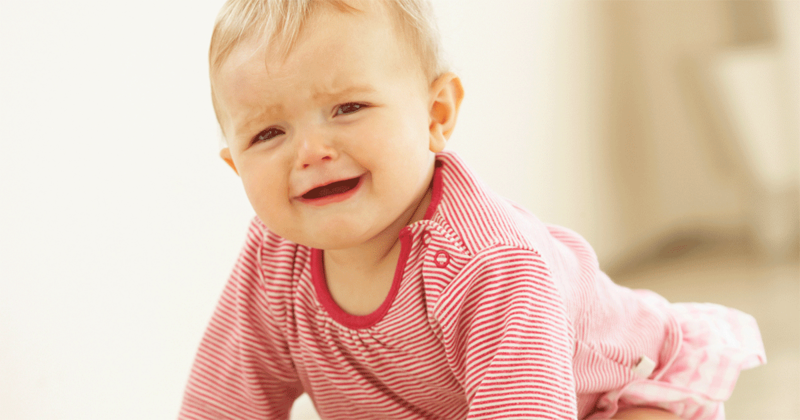 Get more tips on how to handle separation anxiety in babies. We all wake up throughout the night, babies and adults alike. Sleep cycles mean we enter a light state of sleep, but can easily fall right back to sleep. The problem is, babies who haven’t learned to fall asleep on their own struggle to do so. As effective as sleep aids can be to help your little fall asleep, many of them rely on you. Sleep aids like feeding, rocking, co-sleeping, or holding means she isn’t able to fall asleep on her own. What to do: Rely less on sleep aids to help your baby fall asleep and instead encourage her to self-soothe. If your baby wakes up crying hysterically in the middle of the night, she’ll know how to put herself back to sleep. Learning to fall asleep on her own will help her feel more rested, day or night, which only leads to better quality sleep. Want to learn more? Discover the 5 mistakes that are keeping your baby from self-soothing! Sitting up, crawling, walking… all these exciting new milestones can take a toll on your baby’s sleep at night. For instance, learning how to pull himself up in the crib often leaves a baby miserable because he doesn’t know how to sit back down. But other times, new milestones are wiring in his brain at an amazing rate, making sleep that much less restful. Think of all the times you have fallen asleep after an exciting day—falling asleep may have been extra fitful for you. What to do: Sometimes we simply need to wait out these milestones until they pass. For instance, your baby might cry as she finds herself finally pulling herself up on her crib… but unable to get herself back down. You could help her back down, knowing this will soon pass as she learns to do this on her own. Learn more about developmental milestones. 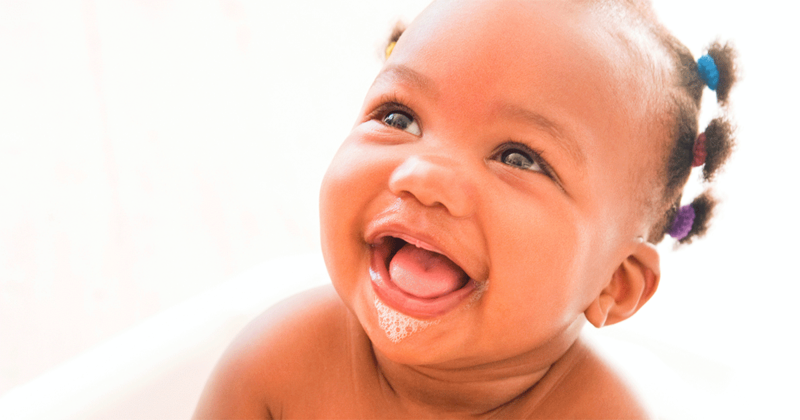 Babies go through some rough times, from emerging new teeth to possible infections. And unfortunately, they can’t come right out and let us know exactly what’s bothering them, so it’s up to us to look for signs of these issues. 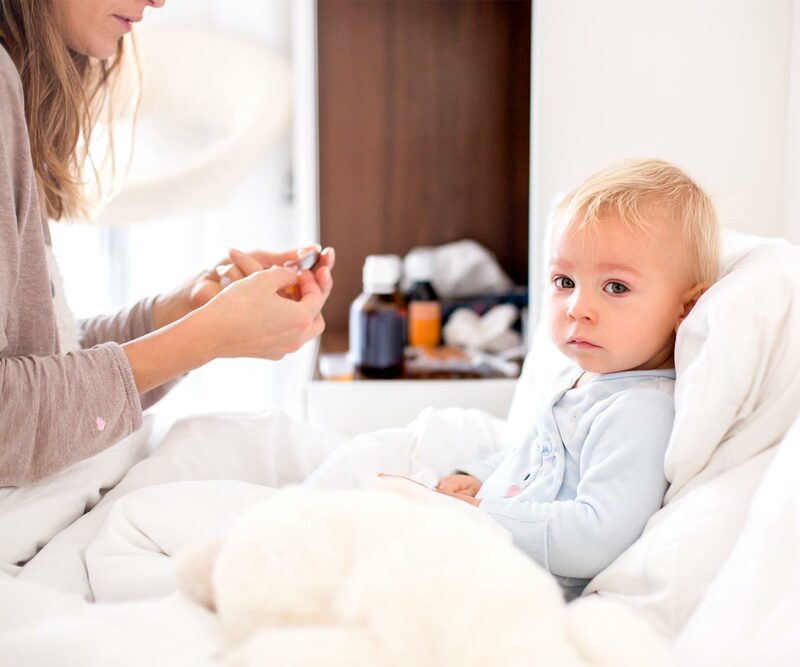 What to do: When I suspected my babies were teething, I offered over-the-counter pain medicine (which their pediatrician recommended) about an hour before bedtime. This allowed them to sleep a little better without the pain. I offered the medicine again in the middle of the night if enough hours had passed from the first dosage. You can also take the baby to your pediatrician to see if she has an ear infection. These can be difficult to sleep through and are uncomfortable enough to disrupt even the deepest sleep. Get tips on how to get kids to take medicine. Your baby may be past the newborn stage and settled into a pattern of eating, but that doesn’t mean she isn’t waking up from hunger. What to do: If you’ve recently weaned her from night feedings, don’t forget to supplement her milk intake during the day. Or perhaps you’ve introduced solids and figured she won’t need as much milk. Instead, see if offering the same amount of milk can help her sleep better at night. Afraid your baby will rely on feeding to fall asleep? Make sure she doesn’t fall asleep while you’re feeding her (hard, I know, especially in the middle of the night). She should still be awake when you put her down, so she doesn’t develop the habit of feeding to sleep. Learn how to wean from night feedings. Not knowing what to do when your baby wakes up crying hysterically is enough to make any mom feel overwhelmed. And yes, sometimes all we can do is simply be there for our babies through their discomfort. But often, we can pinpoint reasons why they wake up crying. Perhaps your baby is developing separation anxiety and doesn’t like the feeling of being apart from you. Other times, it’s different milestones that, however normal and even exciting, can disrupt her sleep. Ailments like teething and ear infections are also common culprits, as is waking up out of hunger. And lastly, your baby’s inability to soothe herself back to sleep can be the very thing causing her to cry in her sleep. Whether you can pinpoint the actual cause or this is simply a phase your baby will outgrow, rest assured that you’re doing a good job—even if your baby wakes up crying hysterically in the middle of the night. 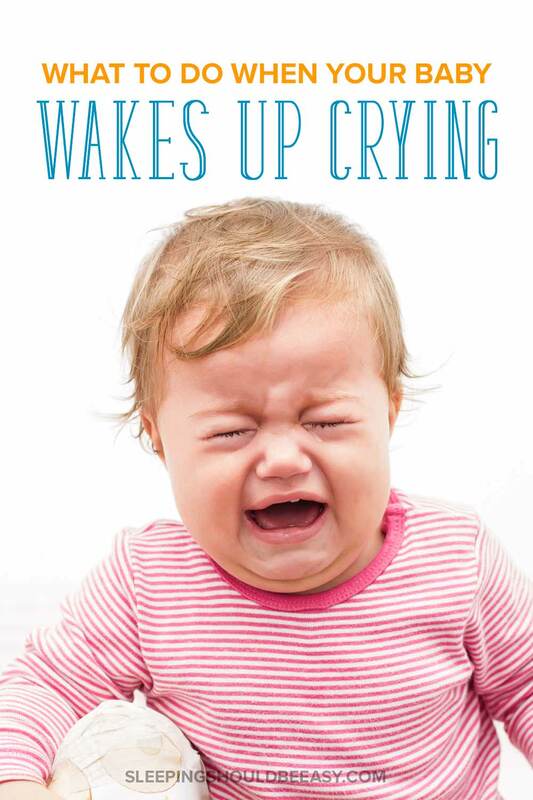 Liked this article about what to do when your baby wakes up crying hysterically? Save it on Pinterest! Struggling with putting your baby to sleep and wish he could learn to self soothe and sleep on his own? 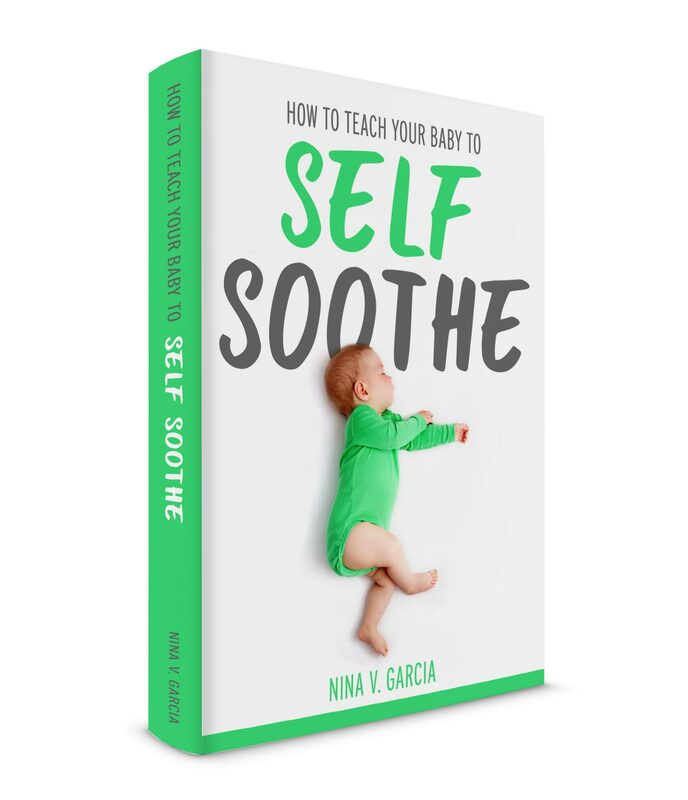 Discover the 5 mistakes that are keeping your baby from self soothing!